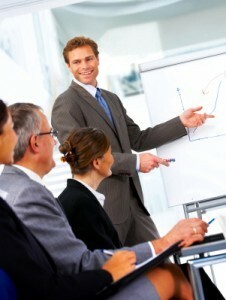 By working on your Presentation Skills, this will help you in the Workplace and in your everyday life. The Speakers Practice offers the SpeakersTrainingCamp ® Public workshop and now the International Accreditation course for you to become an Instructor. Here are 25 Ways the SpeakersTrainingCamp ® can help your presentation skills. You need to work on preparing presentations and deliver when possible. The more you deliver the easier it becomes. You receive a template that greatly assists anyone who is wanting to prepare a speech. The template halves the preparation time. Think about delivering your presentation using a checklist to prepare – this is an amazing help! Your presentations are videoed so you get to see how you can do things slightly differently to assist your overall impact. You find out about the research that went into what audiences are wanting from their speaker. You learn to increase the impact of your presentation, get your audiences attention and be heard! Its fun, you meet great people and we get to laugh. The SpeakersTrainingCamp ® has so much to offer – for developing Presentation Skills ! The Speakers Practice is offering the SpeakersTrainingCamp ® 2 day workshop March 2013 and the International Instructors course in October 2013 for the first time!! Ring Adrienne McLean on 0414 367 960 for details. Previous Previous post: Where do you start when writing an article?